A friend of mine purchased the shadow shields. 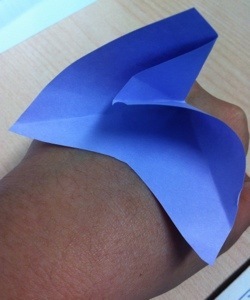 Basically, these are little folded paper with adhesive that you stick under your eye to catch eye shadow fall out. They are really expensive because they are custom made for the eye area. The adhesive is also safe for use around the eye. It is not so sticky to ensure that the delicate area will not be tugged or pulled as you remove the shields. Guess what?? There is a cheaper alternative if you are up for it. just your regular square post-its. There i said it.. with a little origami magic… or some random folding here and there.. you have your very own shadow shield. This blog isn’t just about product reviews but also about sharing little quirky tips here and there. 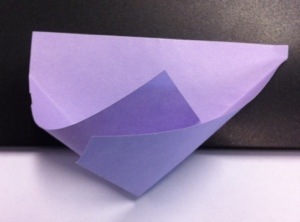 If you are in a rush, just fold little triangles upwards to make a little pocket. 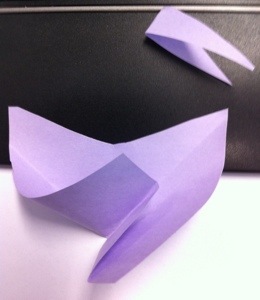 You can fiddle around with a scrap paper first to get the best shape that works for you. 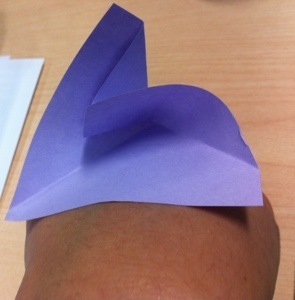 Once you are satisfied, fold the post-it. Avoid touching the part with the adhesive. Then stick it under your eyes. There you go ! Your very own shadow shield. This is some super random knowledge… post-its started out from glue that was not so tacky and could be sort of re-used a few times.. Like how you can stick the post-it on different surfaces a few times before the glue loses its tackiness? The glue did not leave residue as well. So they decided to stick it on paper and the post-its were born. 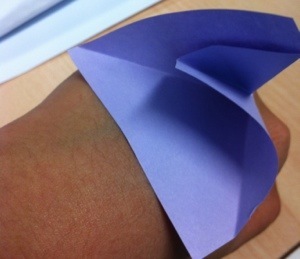 If your eyes are very curved, you can also fold the post it in half and just cut the part with the adhesive slightly to create a valley. It would then fit the curvature of the eye better. 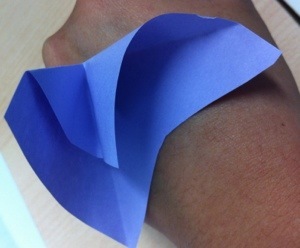 Since you are cutting out some adhesive, just be sure to leave some so that it will still stick on your skin. Post-it (I know this sounds like a post-it advert, but I assure it is not :P) is gentle on the eyes. It does not tug the skin. I usually do makeup on both my eyes at the same time. 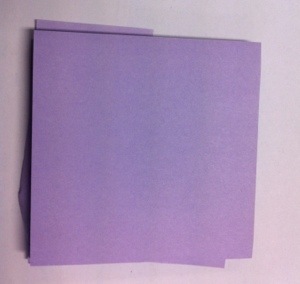 So I use 2 post-its pockets and then throw it out once I am done. Disposable, one time use, cheap, not messy…. ** OOHHHH! Almost forgot… do a skin test on a hidden spot of your body. In case, you are allergic to the adhesive.